It’s been a little more than a year since Facebook showed off it’s newly built servers and data center technologies for webscale computing. But at its third Open Compute Summit the social networking giant and other members of the recently formed Open Compute Project are adding new partners, showing off cool use cases and adding new technologies to the standard. And surprisingly, it’s being done in a way that will enable hardware vendors to hold onto some of their margins and still deliver some innovations. At the third Open Compute Summit held at the Rackspace (s rax) HQ in San Antonio, Texas, Frank Frankovsky, founding board member of the Open Compute Project, detailed the new companies joining the efforts. They include HP, (s hpq) AMD,(s amd) Fidelity, Quanta, Tencent, Salesforce.com(s crm), VMware, (s vmw) DDN, Vantage, ZT Systems, Avnet (s avt), Alibaba, Supermicro, and Cloudscaling. HP, Quanta, and Tencent have also joined the OCP Incubation Committee, which reviews proposed projects and decides if they make the grade. Open Compute storage, racks and motherboards! Oh my! 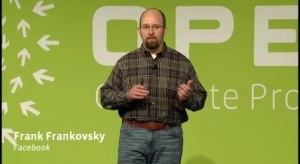 Frank Frankovsky at the second Open Compute Summit. But new members are not as exciting as new technologies and Frankovsky detailed contributions that Facebook is making as well as some new projects by other OCP members. Facebook is contributing its Knox vanity-free storage server and OpenRack, a rethink of the way server racks are designed to help improve energy efficiency and utility for webscale data centers. The OpenRack project expands the rack width from 19 inches to 21, and takes something that Frankovsky said was designed to hold 195os railroad switching equipment into the current era. Outside of Facebook’s contributions, AMD and Intel (s intc) have contributed motherboard designs aimed specifically at the financial services markets. And those financial service customers are no myth. Someone from Fidelity is expected to get onstage to discuss the private cloud that it’s building using Open Compute hardware. Fidelity (s oneq) will be one use case, and NTT, the data center provider is another. NTT (s ntt) has built a cloud using Open Compute hardware and OpenStack, creating an entirely open hardware infrastructure layer. Building businesses with Open Compute. It’s not entirely surprising that those building webscale, or just big, data centers would be trying to take advantage of the cost and energy efficiencies that the folks at OpenCompute are trying to promote. Frankovsky likens it to stripping everything to its essentials and adding back only what is needed. He explained that the standard keeps everything simple for vendors and buyers, but the specifications allowed on top of the standard allow for differentiation for industries and suppliers. The main difference seems to be that Open Compute has given large equipment buyers the power to dictate the standards and specs they want instead of the vendors doing so. That shift in power is what led me to wonder if Open Compute might mean the end of decent margins for HP, Dell, (s dell) IBM (s ibm) and other vendors when Facebook launched the project. But it looks like the ecosystem is adapting. 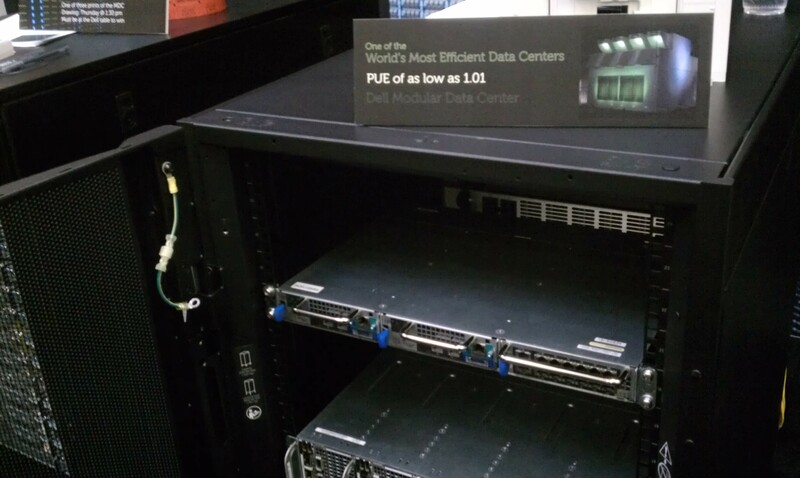 HP and Dell are showing off new server and storage designs that will be compatible with OCP’s Open Rack specification. And companies are building businesses around the Open Compute Project’s guidelines. 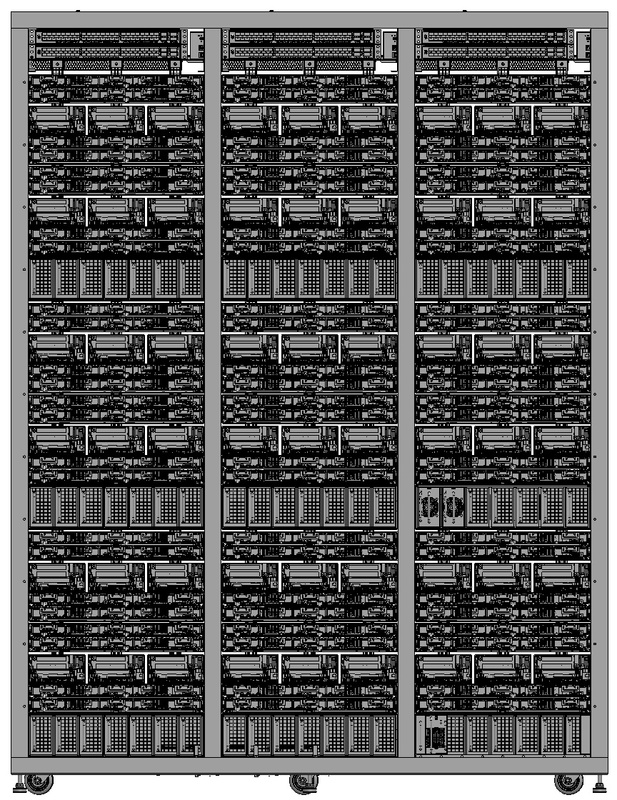 Quanta, the company that makes many of the servers that vendors like Dell sell, is launching a new business unit called QCT that will sell OCP gear direct to customers. Quanta’s business is aimed at selling gear to the likes of Facebook, Amazon(a amzn) and other IT buyers who know exactly what they want and just need someone to build it, but for those who have put a little less thought into their infrastructure stack, Hyve, ZT Systems, and Avnet are now some type of certified partner able to help companies create data centers using the OCP specifications. So far the Open Compute Project members and vendors are walking the line between getting what they want from an industry that historically hasn’t been so responsive and making sure that buyers throw enough bones at them to ensure they can stay healthy. And while I don’t see Facebook buying from Avnet, I do think data center gear that’s designed to operate at a large scale with maximum energy efficiency has a place even in the stodgiest of IT shops. Perhaps most importantly, though, is the industry’s decreasing focus on what OCP founding board member Andy Bechtolsheim calls “gratuitous differentiation” and its increasing focus on driving innovation where it matters. This is the work we have ahead of us in the coming months, as we pursue even greater advances and efficiencies in scale computing technology. It is no small task that we’ve set for ourselves – but as the last year has proven, we can accomplish anything if we work together in the open. So viva cooperation! Although in this brave new world of webscale architecture, which Frankovsky thinks will influence high-performance computing and enterprise computing, it still remains to be seen how much relevance companies like Dell or HP will continue to have. This is awesome. Best wishes to the OCP. Kudos to Facebook for leveraging the weapon of open source on the hardware world.